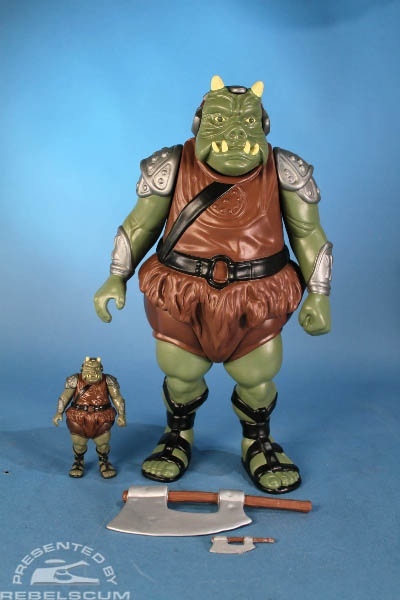 Rebelscum just posted some new shots of the Jumbo Gamorrean Guard figure that I posted about a while back. Most are just of the figure itself and make it difficult to tell it from the normal vintage figure. But I thought this shot was particularly interesting. This will be one huge figure!